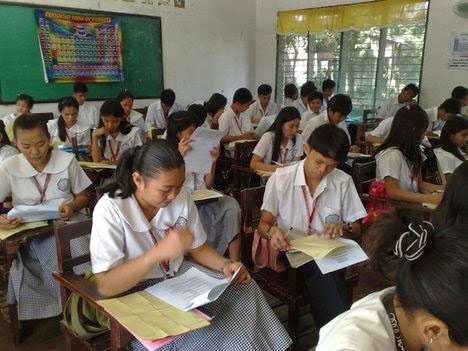 Manila, Philippines - The Department of Education (DepEd) announced on Friday that more than 800,000 students in private schools have been assisted through the Government Assistance for Students and Teachers in Private Education (GASTPE) in School Year (SY) 2013-2014. “Our mandate is to provide every Filipino child with access to quality education,” Education Secretary Br. Armin Luistro FSC said. He added that the GASTPE is part of the department’s continuing thrust to democratize access to quality education in the country. Since the expansion of the ESC program, the total number of students availing the program has increased from 666,000 in SY 2009-2010 to 809,000 in SY 2013-2014. This number constitutes over 50% of the total secondary private schools enrolment last year. More than 90% of the 809,000 ESC beneficiaries were enrolled in private schools outside Metro Manila. Earlier this year, the Department increased the subsidy for students in private schools outside Metro Manila— from P6,500 to P7,500 per student per year. This increased subsidy will be provided to new ESC grantees (Grade 7 students) starting School Year 2014-2015. The past four years has also seen an increase in the number of new slots available from 214,000 in 2010 to 352,000 in 2014.DepEd is hoping to increase its coverage this year with a total projected grantees of 995,000 or an increase of 44% on the total number of grantees from 690,000 in 2010. In terms of the budget, the annual allocation for GASTPE grantees grew by 52%--from P3.94B in SY 2010-2011 to P7.45B in SY 2014-2015. Through the GASTPE, the government will be providing educational assistance to nearly one million private high school students from Grades 7 to 10 in SY 2014-2015. ESC is a scheme under GASTPE wherein the government enables eligible students to pursue secondary schooling in private schools through the provision of a fixed annual subsidy to cover tuition and other school fees. It is jointly implemented by DepEd and the Fund for Assistance to Private Education (FAPE). “ESC is a demonstration of the government’s commitment to maintain the viability of private education as a key partner in the delivery of quality basic education to all Filipino learners,” Luistro said.